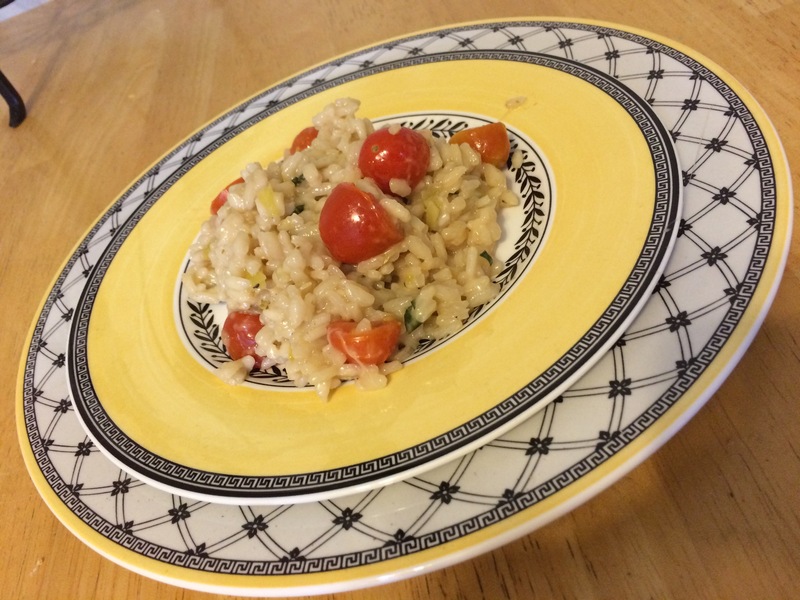 I really love risotto. I love that it’s a carb. I love that it’s affordable. And I love that it seems to grow as you cook it like one of those Dollar Tree Sponge Animals. It’s also rice…but so much more impressive. Heck yah! I’ll be right over! 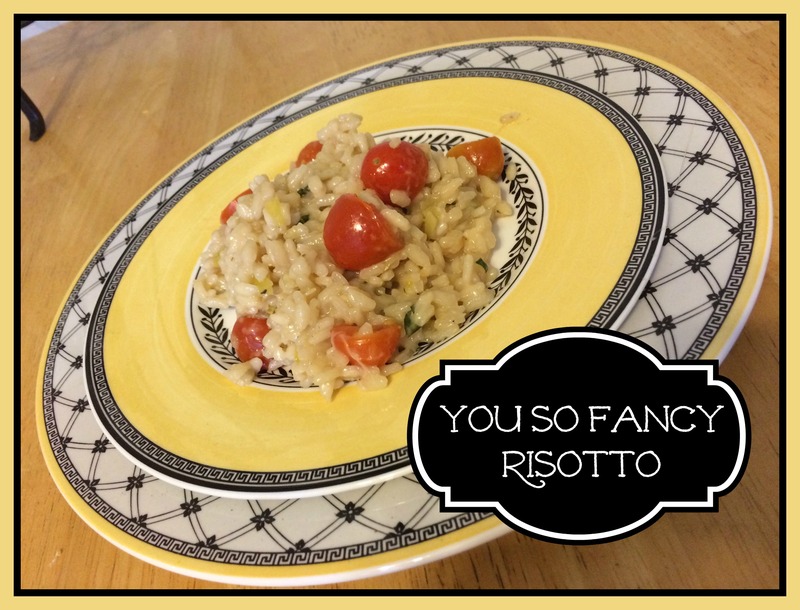 So tonight I’m excited to share my absolute favorite risotto recipe. It’s fresh, flavorful, and well..it’s not exactly a dry dish. 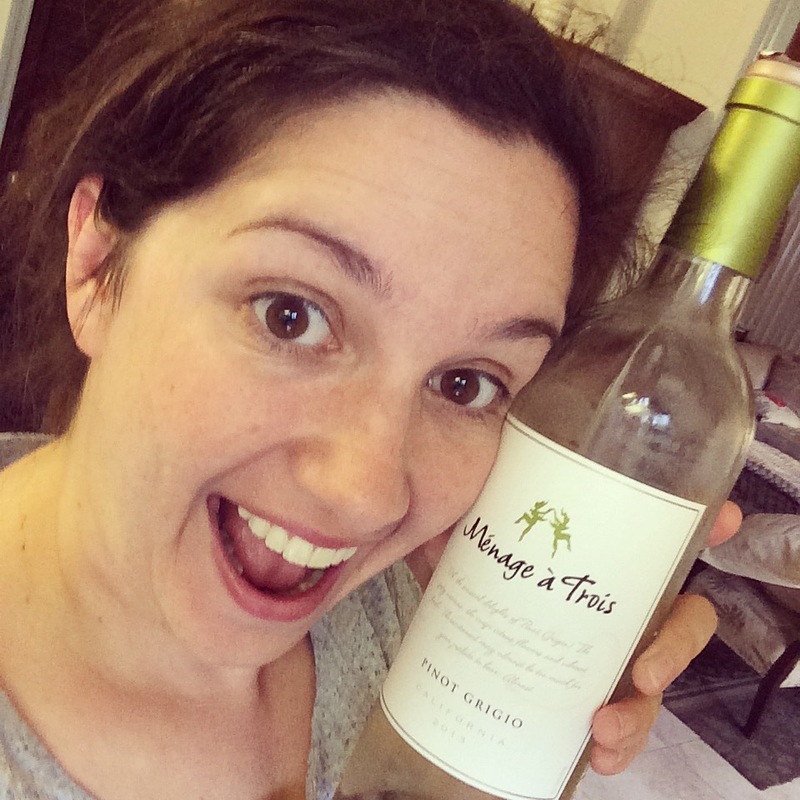 That’s right–bust out the white wine, ladies–it’s time to cook! Serves 3-4. Unless your husband eats like mine. Note: You will not use up all of these ingredients, so you can actually double the recipe by adding a second bag of rice and more chicken stock! Dice two inches of leek. Place skillet on medium-high heat. Wet the pan with either butter or olive oil. 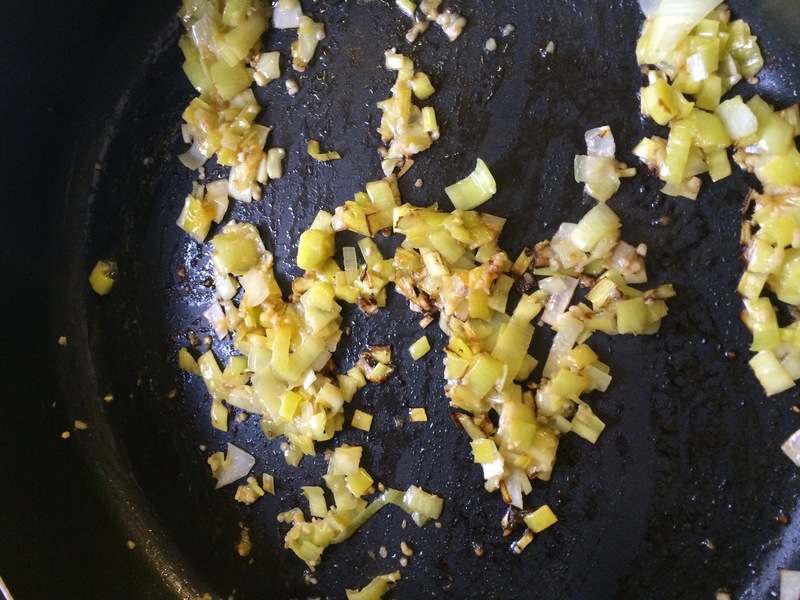 Toss leek bits into the pan with a heaping spoonful of minced garlic. Stir bits until they are browned and aromatic. 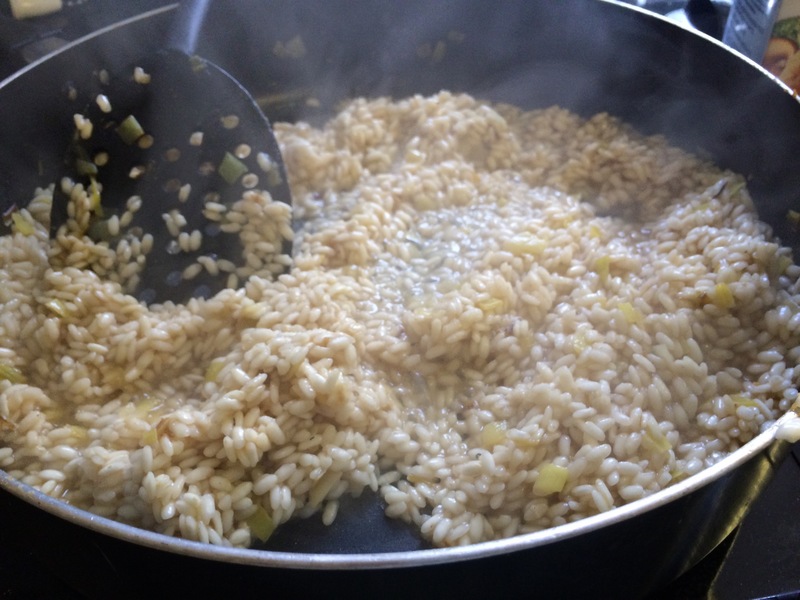 Add dry arborio rice. Stir the ingredients for about one minute, adding olive oil if they stick. After ingredients are well integrated, the fun begins. Add 1/2 cup of wine. Stir until absorbed. Add another 1/2 cup of wine. Stir until absorbed. Now add 1/2 cup of chicken stock, stir until absorbed and repeat repeat repeat. You will use the entire box of chicken stock. Don’t flood the pan. Just take it easy. Now go ahead and cut the basil into flecks. There is a special name for this, but I don’t know it. Use scissors. Note: This is a dish that has to be stirred a lot. I usually make it at nap time and then reheat it at dinner. It’s sooo good reheated. You will notice the rice, er, risotto expanding. Check the consistently. When it is soft, remove from heat and immediately add remaining ingredients.